The best snacks are ones that include healthy nutrient dense foods. Unprocessed whole foods make incredible snacks to fuel your body throughout the day and provide the energy you need to perform at optimal levels. There are so many quick and healthy snacks to choose from. You just need to make the decision to make smart snack choices. You should never need to grab another bag of potato chips, box of cookies or candy bars ever again. These types of foods are all empty calories and lead to fat gain and out of control insulin levels which make you feel tired and sluggish. Your body needs clean fuel, so give it nutrient dense foods all day long. Air popped popcorn is one of the best snacks to choose for overall crunch appeal. It’s light, healthy and provides a high amount of fiber. You can pickup an air popper for about $10-15 at your local Wal-Mart or Target. Bags of popcorn kernels are very inexpensive and will last you a while. For extra taste, add a few squirts of fat-free butter spray and a pinch of seasoning salt. Although air popped popcorn is much healthier for you, there are also a few choices if you don’t have access to an air popper and want to go the microwave route. Choose low-fat microwave popcorn with no more than a few grams of fat per serving. Once of my top picks is “Orville Redenbacher’s 94% Fat Free Smart Pop“. It only has a few grams of fat per serving, tastes amazing and always pops a full bag. Stay away from the fat and calorie packed flavored versions of microwave popcorn. These include kettle corn, movie theater butter and cheese flavored popcorn. These contain a very high amount of fat per serving and since there are 9 calories per gram of fat, the calories start adding up very fast. Nonfat cottage cheese is a great protein packed snack to enjoy anytime of the day. Add some fresh fruit like blueberries, pineapple or peaches and increase the nutrients even more. Cottage cheese provides high quality protein and is also a good source of riboflavin and calcium. Cottage cheese is a soft, fresh-curd variety of cheese that has been made in Europe and America for centuries. It is an uncured cheese (one that has not been aged), and is favored by weight watchers because it is lower in fat than most cheeses. In the process of making cottage cheese, the first stage of cheese making takes place as the milk is separated into curds (milk protein and butter fat) and whey (the liquid component of milk). The curds are then gently heated and drained. The cheese is now ready to eat, though cream and seasoning may be added to some varieties. A great way to add extra protein is by adding a scoop or two of whey protein powder to your cottage cheese. Mix in a scoop of vanilla or chocolate whey protein and stir it with a spoon. This makes for a tasty, super high protein snack! Flaxseed Oil with Cottage Cheese? Dr. Johanna Budwig is known and highly respected around the world as Germany’s premier biochemist. Over the years she has published a number of books including “Flax Oil as a True Aid Against Arthritis, Heart Infarction, Cancer, and other Diseases”. In the mid 1950’s, Dr. Budwig began her extensive research on the benefits of flaxseed oil because of its rich essential fatty acid content known as “linoleic and linolenic”. 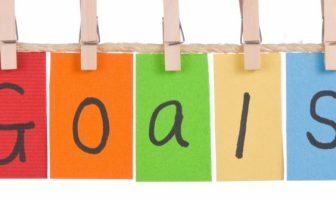 Dr. Budwig assisted many seriously ill, even those who were given up as terminal by orthodox medical doctors, helping them to regain their health through a simple regimen of flaxseed oil blended with cottage cheese. Dr. Budwig supplemented her patient’s diets with 2 tablespoons of flaxseed oil combined with 1/4 cup of cottage cheese. Dr. Budwig found that a yellowish-green substance in their blood was replaced with a healthy red pigment, hemoglobin. She also found that the tumors receded and disappeared, anemia was alleviated, and vital energy was regained. Put all ingredients into a blender and blend on slow to medium for 30-60 seconds. Frozen grapes are probably my favorite healthy snack. I have a huge sweet tooth, so I’m always looking for healthy choices for sweet snacks. I was tipped off to frozen grapes by a fellow co-worker. She saw me eating a bowl of grapes and asked if I had ever froze them. I thought she was crazy! She insisted that I put a small amount in the office freezer overnight. The next morning I came into the office, opened up the freezer and bit into one of the frozen little orbs. It was like a sweet little candy and the taste was amazing! The inside of the grape attains a nearly creamy consistency when frozen. The sweetness is also magnified! I have been freezing grapes for years now and they are on the top of my list for healthy snacks. There is also a great snack tip for freezing grapes. They take longer to eat than regular grapes, so in all likelihood you’ll eat fewer. Not only do they taste amazing, but they are also very good for you and provide quality nutrients. Grapes contain beneficial compounds called flavonoids, which are phytonutrients that give the vibrant purple color to grapes, grape juice and red wine; the stronger the color, the higher the concentration of flavonoids. These flavonoid compounds include quercitin, as well as a second flavonoid-type compound (falling into the chemical category of stilbenes) called resveratrol. Both compounds appear to decrease the risk of heart disease. Grapes are also excellent sources of manganese and good sources of vitamin B6, thiamin (vitamin B1), potassium, and vitamin C.
Protein bars are a great choice when looking for a quick protein packed snack that tastes great. Make sure to read the ingredients list and the food label to see the amount of calories, fat, carbs and sugars in the protein bar. They vary drastically and many of the popular ones are glorified candy bars, so do your own research and make sure you know what you’re eating. Once of the best things about protein bars is that they are truly a portable food. You can carry them with you just about anywhere. You can keep a box of protein bars in your car, at school in your locker and at your desk at work. A great tip is to put a box of them in the freezer. Frozen protein bars are amazing and they take a little longer to eat which will keep you busy for a while. Find a protein bar that is high enough in protein (at least 25 grams per bar), low in sugar and low to moderate in fat. Many protein bars on the shelves will be higher in fat (over 10 grams per bar), so make sure you read what type of fats are being used. Stay away from protein bars that contain saturated fats. Watch out for the amount of “sugar alcohols” which will be listed under carbohydrates. They will usually list carbs, fiber, sugar and then finally sugar alcohols. The term “sugar alcohol” is somewhat misleading, as polyols are neither sugars nor alcohols. Technically, they are hydrogenated carbohydrates that, at the molecular level, have some of the structural properties of alcohols. 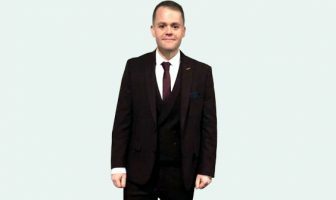 But the fact that they are a type of carbohydrate has led to much debate among those concerned about carbohydrates in their diets. Some manufacturers subtract the amount of sugar alcohols in their products from the total quantity of carbohydrates to yield a much lower “net carb” figure for their labels. They base this practice on the fact that indigestible carbohydrates, such as fiber, cannot by definition have the same effect on the body as carbohydrates that are converted to glucose. But sugar alcohols are only partially indigestible. So some people feel they should be counted as carbohydrates in their entirety, while others feel that only half the sugar alcohol in a product should count as a carbohydrate. Taste is also a very important part of choosing a protein bar. If the bar doesn’t taste great, then you will not want to eat it. Make sure to choose a few different types of flavors and different brands of protein bars before buying a huge box of them. Narrow down your favorite tasting ones and invest in a few boxes that you can store in your home and office for quick protein packed snacks. Make some hard boiled eggs and have a quick high protein snack on hand at anytime! Hard boiled eggs are an excellent source of protein, simple to prepare and each one only has about 76 calories. Eggs are also very nutritious. They don’t just contain fat (yolk) and protein (white). In fact, they contain a wide array of essential vitamins and minerals. Calcium: most important mineral in the strengthening bones & teeth. Not only do eggs contain the highest quality source of protein available but they also contain almost every essential vitamin and mineral needed by humans. In fact, egg protein is of such high quality that it is used as the standard by which other proteins are compared. Eggs have a biological value (efficacy with which protein is used for growth) of 93.7%. Comparable values are 84.5% for milk, 76% for fish, and 74.3% for beef. Eggs really are the best protein money can buy, and they have all those other valuable vitamins and minerals too. The yolk is extremely high in cholesterol, containing more than two-thirds of the recommended daily limit of 300 mg! However, the yolk has many health strengths necessary for immunity, healthy skin, nerves and vision. The yolk contains good amounts of B Vitamins, Vitamin A, iron and riboflavin. Egg whites are very low in calories, have no fat, no cholesterol, and are loaded with protein. The egg white is less likely than the yolk to harbor dangerous salmonella, but due to the health risks that raw eggs present, consumption is highly discouraged by medical experts. Place the eggs in a saucepan with just enough cold tap water to cover them by one inch. Promptly reduce heat to low medium and cook for 10 minutes. Using a ladle or slated spoon, place each egg into a bowl of iced water to chill. Chill for a few minutes until egg is completely cooled. To peel, crack the egg and roll on a counter top to loosen the peel. Juicy and sweet and renowned for its concentration of vitamin C, oranges make the perfect nutritious snack. It is no wonder that they are one of the most popular fruits in the world. Oranges are generally available from winter through summer with seasonal variations depending on the variety. Oranges are an excellent source of vitamin C. They are also a very good source of dietary fiber. In addition, oranges are a good source of B vitamins including vitamin B1 and folate as well as vitamin A, calcium and potassium. They are also a source of dietary fiber and supply folate as well as the minerals, potassium, calcium and magnesium. The white skin under the peel contains the Bioflavonoids for which citrus fruits are noted, so eating this part of the orange is very good for your health. There are two popular varieties of orange, the navel orange, which has a thick skin and is seedless, and the Valencia or juice orange which is thin skinned and has seeds. There is also a sour orange, as differentiated from the sweet orange, that has no popular commercial use. Sugar free Jell-O is a great snack that will satisfy your sweet tooth and help you control overall calories for weight loss. Add some fruit like blueberries or apples to Jell-O and you have a great nutritious snack. The gelatin in Jell-O is what lets you transform it into all sorts of different shapes. What exactly is gelatin? Gelatin is just a processed version of a structural protein called collagen that is found in many animals, including humans. Collagen actually makes up almost a third of all the protein in the human body. It is a big, fibrous molecule that makes skin, bones, and tendons both strong and somewhat elastic. As you get older, your body makes less collagen, and individual collagen fibers become crosslinked with each other. You might experience this as stiff joints (from less flexible tendons) or wrinkles (from loss of skin elasticity). Blend together in blender. Refrigerate until it sets. Broccoli florets are a quick and healthy snack that contains vital nutrients for your body. Broccoli is an excellent source of the vitamins K, C, and A, as well as folate and fiber. Broccoli is a very good source of phosphorus, potassium, magnesium and the vitamins B6 and E.
You can either choose pre-cut broccoli florets or regular stalks. When choosing broccoli, look for fresh-looking, light green stalks. The heads should be compact and dark green with some purple tinge. Wash each cluster with cold water and store in the refrigerator in a plastic container or bag for up to four days. You can even get adventurous and try one of the new varieties of broccoli such as broccolini, a smaller, milder, sweeter variety. Broccoli florets are perfect for dipping. However, make sure to choose healthy dipping sauces that are low in fat, sugar and calories. My favorite dipping sauces are made by Walden Farms. They are made from the world’s finest aged vinegars, dozens of fresh ground herbs and spices, natural flavors and ice cold, triple filtered water. They are all calorie free, sugar-free and fat-free! Sliced chicken breast is a great snack to include in your dietary regimen. 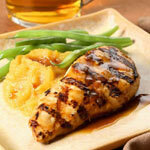 Marinate a few pounds of boneless skinless chicken breasts, broil or BBQ them and slice them up. You can add some spices to the chicken breasts and keep a plate of them in the fridge for a quick snack. 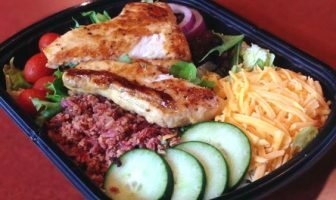 Cold sliced chicken breast tastes amazing and is high in protein, low in fat and has virtually no carbs. Always choose all natural boneless, skinless chicken breast versus prepackaged luncheon meats which are processed and contain added sugar and a carcinogenic precursor ingredient known as sodium nitrite (sodium nitrate is closely related). Sodium nitrite is a dangerous, cancer-causing ingredient that has no place in the human food supply. Lemon-Dill: Use salt-free lemon-pepper seasoning and dill or squeeze real lemon juice, dill, and pepper onto the chicken. Vinaigrette:Use 1 tablespoon balsamic vinegar or balsamic dressing per 4 oz. Always wash your hands with hot soapy water after handling chicken and other raw meats, as well as cutting boards, the countertop, and knives. Never place cooked chicken on the platter that held the raw meat. Keep raw meats separate from other foods. Store raw chicken in the coldest part of the fridge for no more than two days, and make sure you don’t put it on top of other foods that won’t be cooked before eating. Raw chicken juices dripping onto lettuce or fresh fruits is a real no-no. Cook chicken thoroughly and don’t let it sit out at room temperature for more than two hours. A fresh green salad is a perfect low-calorie snack during the day. Dark green leafy vegetables are good sources of many vitamins and minerals your body needs to stay healthy, like vitamin A, vitamin C, and calcium. They are also great sources of fiber. The darker the leaves, the more nutrients the vegetable usually has. This salad is a tossed green salad and may include romaine, escarole, endive, and arugula. Arugula easily reseeds itself in my garden and grows through the winter. It is a very strong tasting green but when mixed with all the others adds a wonderful flavor. Add cucumbers, red cabbage, red pepper, white onions, and carrots. Add all ingredients into a salad bowl and toss. Enjoy! Hummus, a nutritious blend of chickpeas, olive or canola oil, pureed sesame seeds (also called “tahini”), lemon juice, spices, and garlic is a nutritious dip or spread. Don’t worry too much about the calories from fat, since it contains mostly the healthy, unsaturated fats from healthy oils. Since it is higher in calories, just make sure not to eat it by the cupful. A little goes a long way. Spread it on pita bread or whole-grain crackers and dip vegetables into it. Carrots dipped in hummus are amazing! Legumes such as chickpeas from which hummus is made, are a great source for both complex carbohydrates and protein. Tahini, the second most important ingredient, is rich in minerals, fatty acids like Omega-3, and amino acids. Blend all ingredients in a food processor until desired consistency is achieved. Garnish with a dash of paprika on top. Serve warm or chilled. Cherry tomatoes are a great snack choice because they are small, tasty and provide important nutrients. Tomatoes are low in Sodium, and very low in Saturated Fat and Cholesterol. They’re also a good source of Vitamin E (Alpha Tocopherol), Thiamin, Niacin, Vitamin B6, Folate, Magnesium, Phosphorus and Copper, and a very good source of Dietary Fiber, Vitamin A, Vitamin C, Vitamin K, Potassium and Manganese. 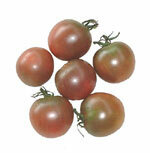 Good-quality cherry tomatoes will be firm, smooth-skinned and be at least pink in color. Tomatoes that are partially green will ripen if left at room temperature. Cherry tomatoes are perfect for dipping. However, make sure to choose healthy dipping sauces that are low in fat, sugar and calories. My favorite dipping sauces are made by Walden Farms. They are made from the world’s finest aged vinegars, dozens of fresh ground herbs and spices, natural flavors and ice cold, triple filtered water. They are all calorie free, sugar-free and fat-free! Nonfat yogurt is a quick, easy and nutritious snack that is available year-round. Yogurt is a dairy product produced by bacterial fermentation of milk. Fermentation of the milk sugar (lactose) produces lactic acid, which acts on milk protein to give yogurt its texture and its characteristic tang. We all know yogurt can be healthy. Like all dairy products, it is a good source of protein and calcium, and choosing nonfat, or at least low-fat yogurt provides all the benefits without the artery-clogging animal fat (it does come from a cow). Just 1 cup has about 1/3 of the daily calcium requirement and roughly 10 grams of protein (15-20 percent of daily requirements). And many people who are lactose intolerant can eat some yogurt because much of the milk sugar is gone in yogurt and converted to lactic acid. Yogurt has nutritional benefits beyond those of milk: people who are lactose-intolerant can enjoy yogurt without ill effects, because the lactose in the milk precursor is converted to lactic acid by the bacterial culture. The absence of lactose bypasses the affected individuals need to process the milk sugar themselves. Yogurt also has medical uses, in particular for a variety of gastrointestinal conditions, and in preventing antibiotic-associated diarrhea. One study suggests that eating yogurt containing L. acidophilus helps prevent vulvovaginal candidiasis, though the evidence is not conclusive. Your body needs to have a healthy amount of ”good” bacteria in the digestive tract, and many yogurts are made using active, good bacteria. One of the words you’ll be hearing more of in relation to yogurt is ”probiotics.” Probiotic, which literally means ”for life,” refers to living organisms that can result in a health benefit when eaten in adequate amounts. Yogurt is a very good source of iodine, calcium, phosphorous, and vitamin B2. It is also a good source of protein, vitamin B12, potassium, molybdenum, zinc and pantothenic acid. What Type of Yogurt Is Best? Contains Active Cultures: Yogurt labeled with this phrase contains the live and active bacteria thought to provide yogurt with its many desirable healthful properties. Look for the National Yogurt Association’s (NYA) Live & Active Cultures seal to ensure that the yogurt you buy contains a significant amount of live and active cultures. Avoid Extra Calories: Fruit at the bottom and especially granola mixed in with the yogurt (parfait) should be avoided due to high amount of sugar, fat and calories. Organic Plain Yogurt: The healthiest choice it to buy plain organic yogurt and add real fresh fruit to it. Cut up some berries, peaches or pineapple and add them to a bowl of chilled yogurt. Although calorically dense, peanut butter is a very nutritious and versatile snack to include in your nutritional plan. The key is finding the right type of peanut butter and limiting the amount to smaller portions. 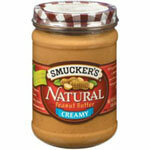 Look for all natural peanut butter that does not contain added sugar. Look on the ingredients list and make sure it only contains peanuts and salt. Anything more than 2 or 3 ingredients and you know you have the wrong kind. Whole peanuts are a very important human food. Peanuts are very high in protein (25 grams per 100 gram serving) of good quality. They are a very good source of energy, with 50 grams of fats and 16 grams of carbohydrates per 100 gram serving. About half their fat content is monounsaturated fats, about a third are polyunsaturated, and the remaining about fifth are saturated. Of the polyunsaturates, only a passing small amount is omega 3. Peanuts are a very good source of niacin (B3), with a healthy 112 mg/100 gram serving. Niacin, also called nicotinic acid, is the most effective medication for raising HDL “good” cholesterol, leading to increases of 20 percent to 35 percent. Peanuts also contain vitamin E (8mg/100gms). Nuts in general, and peanuts in particular, are high in the bioflavonoid resveratrol. This bioflavonoid is also found in red wine and is believed to help prevent the formation of arterial plaques. Peanuts have more resveratrol than grapes. Studies adding even small amounts of ‘peanut products’ to the diet have recorded a 14% reduction in the ‘bad’ LDL cholesterol. One ounce, or one small handful of peanuts contains 2 big grams of fiber. This is 9% of the fiber you need each day! As with frozen grapes, frozen mangos are also on the top of my list for healthy sweet snacks. Look in the freezer section of your local grocery store for bags of frozen mangos. These make for the best bite sized snacks since they are cut up in little chunks. Just throw the bag in your freezer overnight and you will have a great frozen treat in the morning! Beyond being delicious and rich in vitamins, minerals and antioxidants, mangos contain an enzyme with stomach soothing properties similar to papain found in papayas. These comforting enzymes act as a digestive aid and can be held partially responsible for that feeling of contentment we experience during and after the mango feast. Mangos are high in many carotenoids, especially Beta-carotene. Beta-Carotene has a protective effect against the harmful rays of the sun. Research indicates that even in older people, sun tolerance is increased when Beta-Carotene intake is increased. Mangos contain Vitamin A (of which Beta-Carotene is a precursor and more usable), Vitamins C & E and Selenium. Mangos also contain B-complex (anti-stress) vitamins, magnesium, potassium, phosphorus, selenium, Folic acid (folate), and zinc. Mangos are very low in Saturated Fat, Cholesterol and Sodium. Plus are a good source of dietary fiber. They also contain some protein and amino acids, about 2% of your daily recommended amount. Mangos also have a fascinating history. Cultivation of mangos is deeply embedded in Indian History. Mangos are mentioned in early Arialkrit literature and Alexander the Great spotted his first mango in 326BC when he traveled with his army to India. Frozen yogurt is the best snack choice to pick over ice cream. You will save hundreds of calories when choosing this healthier snack over its calorie packed alternative. A great choice is the sugar-free, fat-free frozen yogurt at TCBY. They usually have a few soft serve flavors available for you to try. Choose frozen yogurt that is fat-free and lowest in sugar. Although many frozen yogurt products are fat-free, make sure to watch out for the sugar content. Frozen yogurt is best eaten as small snacks of a cup or less. Don’t think since its lowfat, you can eat a half gallon of it! It still has calories and many of them are coming from sugar, so make sure to limit your consumption to smaller portions. If you’re at your local frozen yogurt shop, make sure to always ask for your yogurt in a plain cup. The calorie killers are the sugar cones, waffle cones and any other calorie packed treat that goes along with the yogurt. This means avoiding the “add ons” like chocolate sprinkles, gummy bears and any other sugar loaded topping. Simply get your frozen yogurt in a small cup and enjoy your nice little treat without having to worry about burning off the extra 1,000 calories of toppings you slapped on it! Fruit smoothies are an excellent choice for anyone who wants a quick, nutrient packed snack. You can mix all types of fruits like raspberries, blueberries and bananas for a delicious fruit smoothie. You can either choose to make your own fruit smoothies at home or pick one up at your local smoothie store. The benefit of making your own smoothies is that you know exactly what has gone into them, and you can save yourself a small fortune too! For building muscle and burning fat, it’s always important to include lean protein at each meal. This includes adding protein to your smoothies. Many of the major smoothie chains now offer protein packed smoothie choices or they have protein powder “add ons” which you can add to your smoothie. 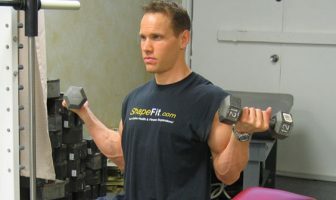 Whey protein is the top choice for providing quick release protein to your muscles. If they don’t carry whey protein, then ask for either egg or soy protein as an addition to your smoothie. One of the main things to watch out for when buying a smoothie at your local store is the base liquid used to make the smoothie. Always choose either water, nonfat milk or real fruit juice as your base liquid. I once heard about how amazing the smoothies were at a local store. Everyone raved about how much they loved them. Well, it turned out the reason they tasted so good was that they were using ice cream milk as their base for all the smoothies! 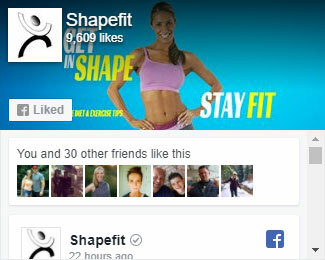 They were adding tons of fat and calories to every smoothie, while their customers thought they were drinking a healthy, low-calorie snack! Another thing to watch out for is the fruit. Make sure to ask if the fruit they are adding is whole fruit or fruit juice. If they use fruit juice, make sure it’s not sweetened with additional sugar. Add all ingredients into a blender and blend at medium to high speed for 30-45 seconds. Enjoy! Walnuts are a tasty and highly nutrient dense food to snack on and can add flavor and crunch to a meal. They are an excellent source of omega-3 essential fatty acids and are also rich in vitamins and minerals that help us to stay healthy. Walnuts are high in poly and monounsaturated fats and especially linoleic and alpha-linolenic acid. Those two acids cannot be synthesized by our body and must be provided daily. They are called essential fatty acids. They are involved in the manufacture of certain hormones, part of the cell’s membrane and they regulate the cholesterol. 5 walnuts (28 g) supply our daily needs in those acids. Walnuts contain an antioxidant compound called ellagic acid that supports the immune system and appears to have several anticancer properties. Alpha-linolenic acid is an omega-3 fatty acids. This family of acids has an anti-inflammatory action. Walnuts are therefore useful in the treatment of rheumatoid arthritis and itchy skin conditions. (Dry skin is usually the first sign of an essential fatty acid deficiency). The high amount of unsaturated fats in the walnut helps us keep our blood cholesterol down. Walnuts lower blood cholesterol with a rise in HDL (called “good” cholesterol) and a drop in LDL (called “bad” cholesterol). Therefore, walnuts may reduce heart disease risks. Studies suggest that people who eat walnuts are less likely to develop coronary heart diseases and heart attacks. Walnuts are also a good source of protein. They contain 15.23 grams of protein per 100 grams, which is equivalent to 100 grams of chicken. Walnuts are rich in calories. They can help people with small appetites, such as elderly and convalescents, to meet their daily calories requirements. Walnuts are also a very good source of manganese and a good source of copper. In addition, walnuts contain the antioxidant phytochemical, ellagic acid. Sunflower seeds make for a great crunchy snack that keeps you cracking for hours! Sunflower seeds are the best whole-food source of Vitamin E. They provide an ideal heart healthy profile, are high in protein, and naturally low in carbohydrate. Sunflower seeds are an excellent snack by themselves or as an ingredient, offering a wealth of nutrients, many of which are hard-to-get. Full of healthy unsaturated fats, protein, fiber, minerals, vitamins and phytochemicals, nutrition scientists are realizing that we should pay better attention to this power packed whole food. In the United States, obesity as well as diabetes and heart disease are on the rise. The 2005 U.S. Dietary Guidelines recommends an intake of 20-35% of calories from fat, mostly coming from healthy polyunsaturated and monounsaturated sources. Consumption of these kinds of good fats has been shown to improve heart disease risk. The United States Department of Agriculture (USDA) encourages choosing sunflower seeds, which can boost these fats. Sunflower seeds are also recognized by the US Dietary Guidelines for their nutrient density. They are specifically noted to be the best whole food source of vitamin E, providing 84% of the daily value in just one ounce. A lower risk of death from stroke has been associated with vitamin E-rich foods; and since studies have shown that only 5% of men and 4% of women meet the RDA for vitamin E, choosing sunflower seeds to increase vitamin E intake is a wise and easy solution. Soy chips with all natural salsa is one my favorite healthy snacks. 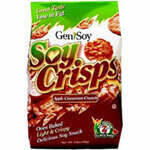 I recommend GenieSoy soy crisps because they taste great, high in protein and are available in multiple flavors. The ranch and BBQ are my all time favorites. Genisoy Soy Crisps are richly seasoned, low-fat baked alternative to traditional high-fat chips. Each serving contains a unique blend of soy and rice offering 7 grams of soy protein and a surprisingly low 3 grams of fat. Soybeans are a high-protein legume, or bean, grown as food for both humans and livestock. The word soy is derived from the Japanese word shoyu (soy sauce/soya sauce). The soy plant has the highest-quality protein of any plant food, and its high level of protein content is considered equivalent to animal foods. Soy is considered to be a complete protein, like meats, meaning that it provides all the essential amino acids your body needs but doesn’t produce on its own. Beans are great protein packed snack for anyone who wants a quick, healthy choice to fuel their bodies. Beans are a rich source of soluble fiber, are both low in fat & cholesterol and are packed with vitamins and minerals. As the richest source of vegetable protein, beans will keep insulin levels in your body low, causing you to feel full for hours and preventing you from overeating later in the day. In addition to their high fiber and protein content, a new study finds that beans, particularly black ones, are a rich but overlooked source of antioxidants (considered important fighters against aging) and may provide health benefits similar to some common fruits, including grapes, apples and cranberries. Like other legumes, black beans contain folate, magnesium, alpha-linolenic acid, vitamin B6, and fiber. Throw a bowl of black beans into the microwave along with a few ounces of tuna and you have a serious protein packed meal. Beans are also great on salads and in soups. This is a healthy, fresh tasting bean salad that will give you an easy way to enjoy the many nutritional benefits of beans with little effort. The fresh herbs make it very flavorful, and it will keep in your refrigerator up to for 3-4 days. In fact, it actually gets better as it marinates. The lima beans and fresh herbs add a nice twist to the more traditional version. Bring lightly salted water to a boil. Cut green beans by cutting ends off a handful at once. This saves time. Cook green beans in lightly salted boiling water for just about 3-5 minutes, or until tender. Drain well in colander. Dry with paper towels so they don’t dilute flavor with excess water. Drain and rinse canned beans. Let beans sit in colander for another couple of minutes to drain excess water. Mix all ingredients together. If you have the time, let it marinate for at least 15 minutes. It can keep in the refrigerator for a few days. Keep on hand for a quick meal. Tuna fish is a quick and easy high protein snack to make anytime. Just mix a can of water-packed Albacore tuna with a tablespoon of nonfat mayonnaise and you have a snack that contains over 30 grams of protein! Tuna, an excellent source of lean protein, vitamins and minerals. Tuna can also help lower blood pressure and cholesterol. Research has shown that omega-3 fatty acids can help lower the risk of heart disease, ease the pain of arthritis, reduce asthma complications, and is essential in the growth and development of young children. 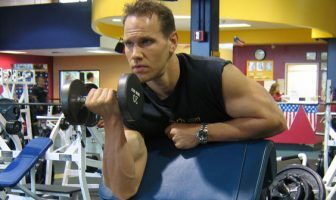 Protein is essential to building lean muscle mass and providing the body with energy. The protein in tuna contains all essential amino acids required by the body for growth and maintenance of lean muscle tissue. The protein in tuna and all other fish protein are considered to be a complete protein sources. The protein source can be important to lose weight because high quality proteins such as the protein in tuna can be used to maintain an active metabolism. Low quality protein contains low amounts of the essential amino acids required for use in protein synthesis and means the protein must either be used for energy or converted to fat. Which Type of Tuna To Buy? Several different varieties of tuna are canned. Skipjack, Bluefin and Yellowfin (called Ahi in Hawaii) tuna are canned and sold as “light meat,” while Albacore (also called Longfin tuna, Tombo Ahi, and Ahi Palanacan) is the only tuna that can be labeled premium “white meat”. To get the most omega 3 fats from your canned tuna, choose water-packed tuna rather than oil-packed. The oil mixes with some of the tuna’s natural fat, so when you drain oil-packed tuna, some of its omega 3 fatty acids also go down the drain. Since oil and water don’t mix, water-packed tuna won’t leach any of its precious omega 3s. Sliced apples make a perfect snack anytime of the day. Add a little natural peanut butter and you have a sweet protein packed snack to fuel your body through the day. There are also so many different types of delicious apples available for you to enjoy. The nutritional stars in apples (fiber, flavonoids, and fructose) translate into apples’ ability to keep us healthy. Apples are a good source of dietary fiber and vitamin C. Most of the apple’s fiber is contained in its skin, as is the majority of its quercitin. Unfortunately, in conventionally grown apples, the apple skin is also the part most likely to contain pesticide residues and may have toxic residues if covered in petroleum-based waxes. Since peeling results in the loss of apples’ flavonoids and most of its valuable fiber, choose organically grown apples whenever possible. Pickles are crunchy and delicious but did you know pickles are nutritious, as well? Naturally packed with vitamins, pickles are a fat-free and low-calorie snack. In fact, the average-sized dill spear is only 15 calories! Nearly all pickles you find in grocery stores contain artificial food coloring. They have a yellowish tint to them that has been added through the use of chemical colors. This is not a natural ingredient and so it is something you want to avoid purchasing. Instead, you want to buy completely natural pickles like the ones you get at Trader Joe’s that are made without artificial colors or flavors and that have an extremely low-calorie count as well. An entire jar of pickles may give you only 50 calories or so and yet they can be quite satisfying and take up a considerable amount of space in your stomach, thereby turning off your appetite cravings. Just don’t buy pickles containing any added sugars or artificial colors. Some pickles are, believe it or not, loaded with sugar. They’re more like candied cucumbers than pickles. Read the ingredients labels to be sure what you’re getting. By the way, while you’re eating pickles, it’s an excellent time to take some calcium and mineral supplements, too. The acidity of the pickles will accelerate the absorption of calcium. Americans consume more than 9 pounds of pickles per person annually – that’s 20 billion pickles throughout the U.S. each year! Pickling is one of the oldest forms of food preservation… founded in Mesopotamia more than 4,000 years ago! Olives have numerous health benefits, including being rich in Vitamins (in particular Vitamin E), minerals, monounsaturated fats, and antioxidants. They are full of nutritional value, helping to fight against a number of critical diseases; including cancer, arthritis, osteoporosis, constipation, inflammation and asthma. The Vitamin E contained in Olives is the body’s primary fat-soluble antioxidant. Antioxidants help to strengthen the body’s immune system; reducing the severity of asthma, cancer, osteoarthritis, and rheumatoid arthritis, premature aging, as well as delaying the effects of aging. Olives contain compounds called polyphenols that appear to have significant anti-inflammatory properties. The juice of the olive, otherwise known as olive oil, is a delicious source of antioxidants. This oil is monounsaturated, and it has a positive effect on the cholesterol level in our blood streams, by helping to reduce it. Monounsaturated fats are an important part of our diets. These oils act to keep cholesterol from sticking to our artery walls, and thus combating against diseases such as heart disease and strokes. Not only that, but they help to control blood sugar, a big plus in offering protection against diabetes. Olive tapenade is a delicious and easy-to-make spread that you can use as a dip, sandwich spread, or topping for fish and poultry. To make it, put pitted olives in a food processor with olive oil, garlic, and your favorite seasonings. Marinate olives in olive oil, lemon zest, coriander seeds and cumin seeds. Add chopped olives to your favorite tuna or chicken salad recipe. Set out a small plate of olives on the dinner table along with some vegetables and enjoy with the meal. Popsicles are always a sweet little treat during the day but the one thing you need to watch out for is the amount of sugar in them. Most of the popular popsicles on the market are basically sugar water and if you’re following a healthy diet, you want to avoid excess sugar. The healthy and easy way to make sugar-free popsicles is to use Crystal Light or Sugar Free Kool-Aid. It’s that simple and you will have a nice, cool treat that is sugar-free and virtually calorie free also! The pleasant aroma of baked apples wafting through your house is the one of the best scents imaginable! Not only are baked apples with cinnamon absolutely delicious, they are also very good for you. One large apple supplies almost 30% of the minimum amount of fiber that one should consume daily. An apple will also prevent constipation because it helps digestion. Studies have shown that just 1/2 teaspoon of cinnamon per day can lower LDL cholesterol and one study found that smelling cinnamon boosts cognitive function and memory! Your choice for the healthiest peanut butter should ones that are 100% all natural. This means absolutely no extra sugar added to it. Turn the jar around and look at the ingredients. It should simply say “peanuts and salt”. If you see any other ingredients listed, put it down and look for another one. Great choices include Adam’s and Laura Scudder’s 100% all natural peanut butter. All these health benefits with very few calories! Preheat oven to 400 degrees. Wash sweet potatoes under cool running water. Pierce deeply with knife or fork to allow steam to escape while cooking. Place sweet potatoes in a glass dish (line with foil for easy clean up). Instead of a glass dish, you can also wrap each potato in aluminum foil. Bake for about 45 minutes or until tender. When I’m rushed for time and need to eat something that is packed with protein and very nutritious, I always choose oatmeal with protein powder. The key is to make sure you choose quality oatmeal. A great choice is Bob’s Red Mill oatmeal and if you have the time, you can also choose steel cut oats which take a little longer to prepare (45 minutes) but tastes amazing. You want to avoid any of the instant oatmeal products that come in little packages and are flavored (maple syrup, etc). These are packed with sugar and extra calories! When in doubt, look at the ingredients and it should simply read “100% whole grain rolled oats”. Quaker Old Fashioned oatmeal is another good choice if you want to save a little money. A great choice for a quick and nutritious snack is a tuna salad sandwich. This protein packed snack can be made in a matter of minutes and is a perfect way to get quality complex carbs and muscle building protein in a delicious meal. Start by choosing high quality bread like Ezekiel bread which can be found in the frozen food section of your grocery store. The reason why Ezekiel bread is so nutritious is because is contains no flour and also contains all 9 essential amino acids. For tuna, your best choice is solid white albacore packed in water. Watch out for tuna packed in oil since the fat content and overall calories goes way up. You can choose some fat-free mayonnaise along with diced up red onion and a little diced up tomato. Mix everything in a bowl and add a little black pepper for taste. Scoop the tuna salad onto two slices of bread, add a little lettuce and you have a perfect high protein snack to power you through the day! Regular Doritos (20 chips): 200 calories, 10 grams of fat. Hummus is very nutritious and satisfying. Hummus has no saturated fats or cholesterol, and contains high levels of protein. The main ingredient in hummus is chickpeas which some studies have shown actually fights the build up of cholesterol in blood vessels and help control blood sugar levels. This one might sound strange but it’s truly one of my favorite healthy snacks when my sweet tooth kicks in and I need something to quench it! Have you ever had one of those chocolate dipped frozen bananas at your local mall? This is basically the same without all the extra sugar and calories. Just make sure to peel your bananas before putting them in the freezer! If not, you will have a heck of time getting the peel off of them. It’s really easy to freeze them, just peel 4-5 bananas and put them in a glass bowl with a cover. Put them in the freezer overnight and then in the morning you will have a tasty and sweet treat that is low-calorie and nutritious! Bananas are very rich in vitamin A, iron, phosphorus and potassium. Add some sugar-free chocolate syrup on your frozen bananas for an extra sweet treat. If you want a quick and healthy snack that will keep your energy levels high, an apple with some peanut butter is your perfect choice. This snack can be made in literally seconds and its also the ideal snack for packing up for a quick meal at work or when you’re on the road. Apples are low in calories, low in fat and low in sodium. They contain vitamins and minerals as well as fiber. Another great benefit of apples is the high water content of the fruit. Choose from delicious Gala, Fuji, Granny Smith and other types of apples which all go great with peanut butter. One of the health benefits of peanut butter is the amount of fiber it has. Fiber helps maintain a healthy colon and also contributes to helping the body regulate blood glucose levels as well as fight bad cholesterol. The key is choosing 100% natural peanut butter with no added sugar. Look at the ingredients list on the back of the jar. It should simply list peanuts and salt. That’s it! If it lists sugar, high fructose corn syrup or any other ingredients other than simply peanuts and salt, then put down the jar and look for another healthier choice. Whole wheat crackers with tuna makes a great choice when you’re looking for a healthy snack that is easy to make and is packed with muscle building protein. Look for either 100% whole wheat or multi-grain crackers for your healthiest choice. For tuna, your best choice is to go with solid white albacore packed in water. Mix it with a little fat-free mayonnaise or some fat-free yogurt. You can also add some diced up red onion, diced tomato or a little fat-free shredded cheese to the tuna for a little extra flavor. If you’re in a rush and don’t have time to make any tuna, or if you’re out and about and need to pickup a quick snack, look for prepackaged tuna salad with crackers made by Bumble Bee in your local grocery store.